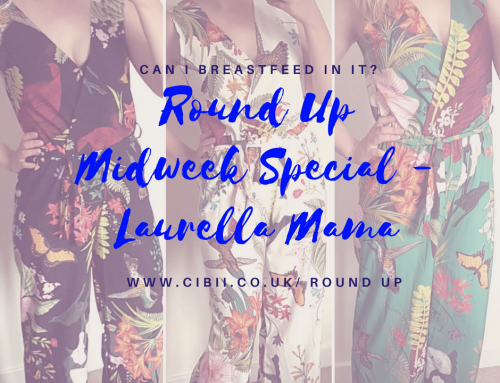 Can I Breastfeed In Something Spectacular? | Can I Breastfeed In It? Pre-parenthood nothing would cause a mix of delight and consternation quite like an invitation to a do. This can range from a meal out with family to a wedding, and each will give the thrill of being able to spend time with your favourite people, dress up. Only to be quickly followed by worry and the oft repeated refrain ‘I have nothing to wear’. Which of course really is: ‘I have nothing suitable to wear’. Plus, when the inevitable photographs are taken you want to put them on the walls to share, and not on the fridge. With the Christmas season and New Years Eve around the corner we have been getting several requests with the additional feature of Can I Breastfeed in It? This is magnified when you are a mum, partly because the ability to just throw something on and go to an impromptu meet up is severely reduced; but also because it is a time when you may need extra help to feel at your best and cope with the practicalities of feeding a baby. Maybe it is a celebration that your child will be attending, or one where you, like Adele, at the Oscars, want to be able to express without stripping naked. So, here are my tips and suggestions on what to look for and to make the process easier. Firstly, every house needs a good foundation and this means good underwear. Most of us feel our stomachs have seen better days and this is where shape wear comes in. Whether it is tights, pants or a slip, it is worth investing in something good quality that you can wear again and again. But be realistic, there is no point spending the day uncomfortable or unable to eat because you’re strapped up too tight. My personal preference is the slip, because the fat is smooshed over a larger area and you get less of a muffin top. It can still combined with a good nursing bra such as this slip from Marks & Spencer and can make you look a stone lighter. Similarly, a good haircut and style can be as effective as a facelift and lasts longer than a day. The next, touchier, subject is fit. Being able to pull the zip up, does not mean it fits. I remember a spotting woman who had a lovely figure, beautifully in proportion, but because she was wearing clothes probably two sizes too small I wasn’t thinking how fantastic she looked. Am I being honest if I was I say I am 100% OK that I wear a size 16? No. But the costume designer on Bridget Jones’ Diary said the best shortcut to making someone look bigger than they are is to put them in badly fitting clothes. My second point is I was convinced I would look fat when I got married, but when I look back now I realise it was more in my head than on my backside. In years to come you will probably think the same about how you are now, so be kind to yourself, the size is just a number and not a measure of your worth. On to the actual outfits. 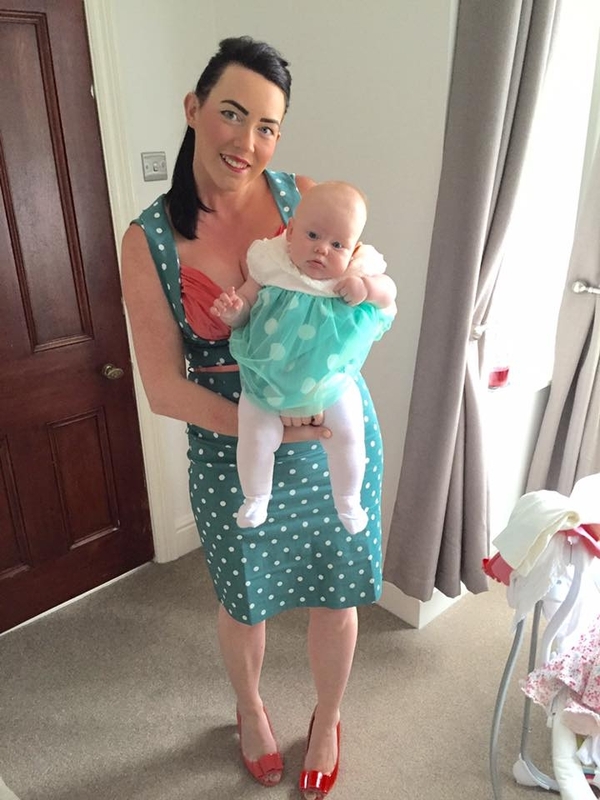 Earlier this year the discovery of a Boohoo dress caused an online frenzy and temporary shortage because of the ladies finding it was an affordable, flattering and easy to breastfeed in. Faye even had her own blog post (written by yours truly). It is still popular now, because the summer dress can be paired with a jacket or cardigan to last through the autumn and winter. If you prefer a more winter-typical look, with the maxi length and higher necklines this doesn’t necessarily rule out a breastfeeding friendly dress. A side zip, usually aimed to give you a a good fit can provide the access you need. If it a Monsoon dress I am immediately in love. 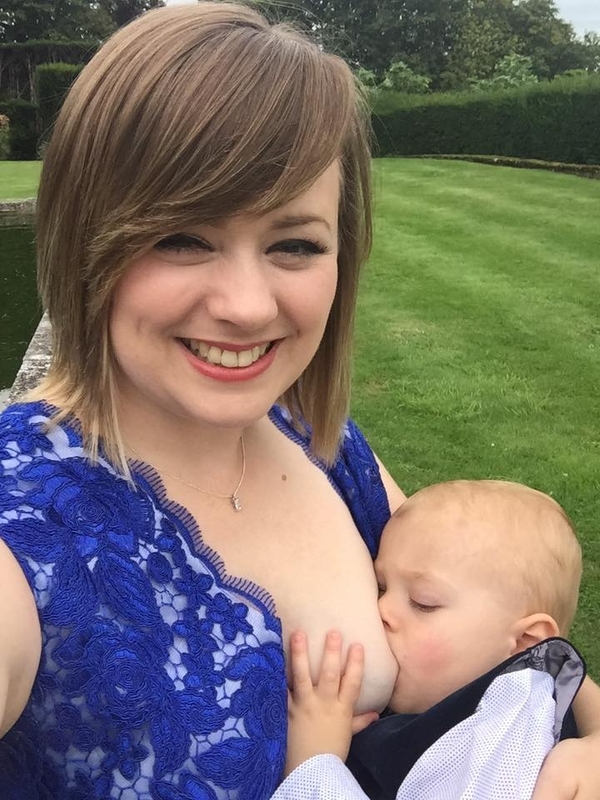 You might be surprised how many of our contributors are getting married and see ease of breastfeeding as a key consideration in choosing their dress. This is, in fact, relatively easy as the current fashion for strapless dresses allows for over the top access. Even if that isn’t your thing, this is the only time most of us get a tailor-made dress altered to fit our body perfectly. A talented seamstress should be able to turn a seam into zip fastening or some other change to make it easier to feed. You don’t have be getting married to alter a dress to fit. My mother in law put press studs into the straps of a dress and one contributor replaced a couple of stitches with poppers to make this Debenhams stunner breastfeeding friendly. It is tempting when you want to a hide a problem area to put on something voluminous to hide it, in particular our mum tums. But this actually accentuates the area. So it is better to use clothes with curves and diagonal lines to create the illusion of a smaller waist. 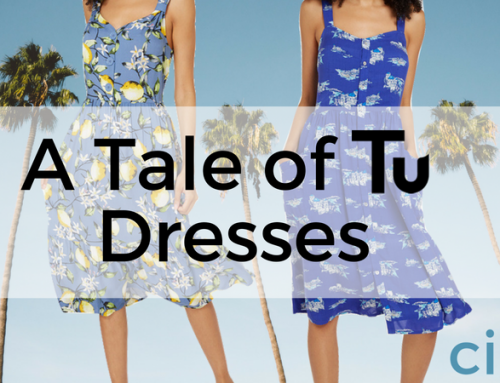 There is a reason why Diane Von Furstenberg has been so enduring in the fashion industry – her wrap dresses are great examples of how to achieve this. They also allow access for breastfeeding so they are very popular in the Facebook group and a little tip if you find the cut a little low or want a little more modesty while breastfeeding is to wear a crop cami top underneath you can buy this one Topshop or cut a full length vest to size if you are short like me. Boden has a great selection for the special occasion, and this little number from Oasis is an ideal little black dress. 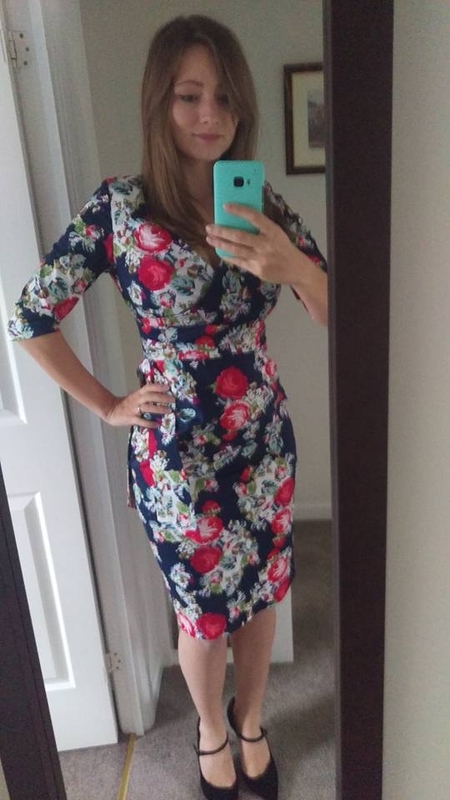 It doesn’t even have to be a genuine wrap dress, as the neckline is usually generous enough to lower like this gem from The Pretty Dress Company. Another popular choice is the Lindy Bop dresses. 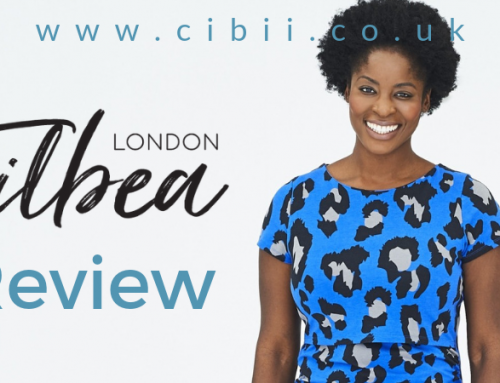 Inspired by the fashions of the fifties and sixties they are cut for women who have curves – an advantage for the post partum mum who has replaced the gym sessions with collapsing exhausted on the sofa sessions. They come in a range of sizes and colours, even in a white that is a popular wedding dress option. If you particularly fond of the holiday season they have a winter themed collection. I would recommend the patterned options, simply because baby sick, snot or general muck doesn’t show quite so much in it. If not, there is a reason why mums have packets of baby wipes everywhere for every conceivable situation. If you still think you would rather wear a dress with fabric at the waist, pick one with draping like this one from Mango. You don’t have to restrict yourself to a dress; a current trend is for a crop top and skirt combination. Before you panic with images of the less than perfect six pack on show, pick a high-waisted skirt and a crop as in shorter top which is easier to lift. Boohoo has an example in metallics for the Christmas party season. Of course, if you are blessed with a flat stomach, now is the time to show it off. Or what about this Jump suit from Missguided? If you feel the strapless top will leave you feeling a little exposed just think accessories such as a shrug, pashmina or wrap, like this faux fur stole. 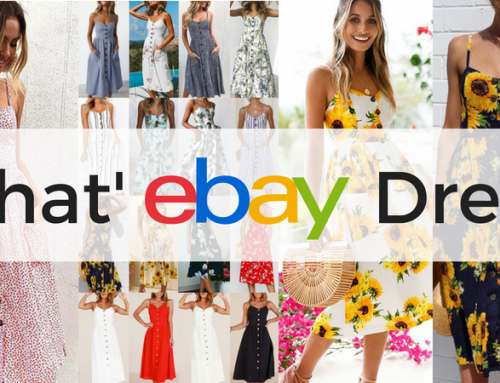 So whether you are a seasoned fashionista, a timeless chic lady or stumble from one trend to next, there is an outfit that will suit your occasion, style and figure. The question isn’t is there something out there, but more whether you chose your normal jewellery or a teething necklace.